Country music’s favorite bubbly-blonde is headed back to Netflix for her own series! 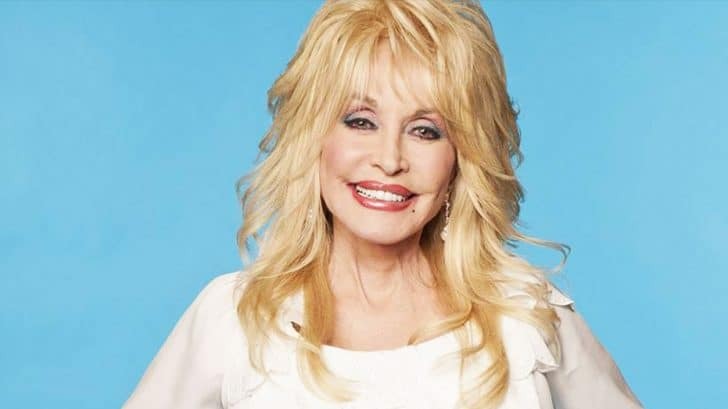 Dolly Parton announced her series back in 2018 and is gearing up for its premiere this year. The Netflix series will showcase eight episodes based off of Parton’s hit songs. The nine-time Grammy Award-winning singer will be helping produce and star in the series herself! Dolly Parton’s Heartstrings, is an eight-part anthology series based on the stories behind some of Parton’s most beloved songs. Each episode will be based around a different song and have a different cast. Parton will introduce each episode giving the audience the meaning behind each song. Several of the cast members are award-winning actors and writers. As each episode unravels, we get a glimpse into some other stars we can’t wait to see on the screen. According to The Hollywood Reporter, here are the plots for each episode. Dolly’s on set today overseeing the filming of her new Netflix movie. “Jolene”: The cast includes Julianne Hough (as Jolene), Kimberly Williams-Paisley, Dallas Roberts, and of course Parton. The storyline follows a free-spirited young lady who has hopes of leaving her hometown of Coventry, Georgia to become a singer-songwriter. “These Old Bones”: A young lawyer who returns to her hometown when a mysterious mountain woman – believed by locals to be a fortune teller – threatens a lumber company business. The plot is based in the 1940s. The stars include Kathleen Turner, Ginnifer Goodwin, and Kyle Bornheimer. “J.J. Sneed”: Flashback to the 1880s where a young woman is trapped in her own dreams of living for more, when a seductive outlaw takes her on the adventure of a lifetime. Starring is Colin O’Donoghue, Willa Fitzgerald, David Denman, Mac Davis, and Vanessa Rubio. “If I Had Wings”: Three siblings receive invitations to their estranged father’s birthday. While meeting on a Mississippi farm, they confront the sins of their father. Played by Gerald McRaney, Ben Lawson, Brooke Elliott, Michele Weaver, Delta Burke, and Tim Reid. “Cracker Jack”: The past and the present intertwine to showcase the unconditional love between a girl and her dog. Now in the present, she is faced with some of life’s biggest challenges. Starring Sarah Shahi, Rochelle Aytes, Jessica Collins, and Tammy Lynn Michaels. “Sugar Hill”: A married couple relives their love story during a road trip adventure. Former thirtysomething co-stars, Timothy Busfield, and Patricia Wettig star as well as Virginia Gardner and Tom Brittney. “Down From Dover”: A pregnant teenager finds a new home after being shunned by her father and waiting for the return of her soldier lover. Starring Holly Taylor, Shane McGhie, Robert Taylor, Bellamy Young, Camryn Manheim, and Mary Lane Haskell. “Two Doors Down”: A family’s secrets unfold during a New Year’s Eve wedding weekend leaving the guests to wonder if the ceremony will commence. Starring Melissa Leo, Ray McKinnon, Andy Mientus, Katie Stevens and Michael Willett. The exact date that Dolly Parton’s Heartstrings will premiere is still TBD but this should get us through the wait for now! Which song are you most excited to see come to life?